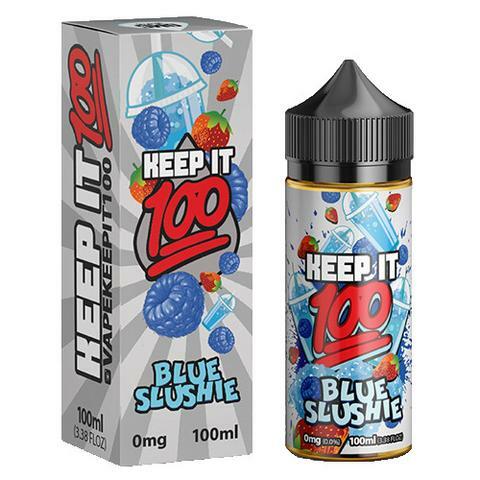 Blue Slushie E-Liquid by Keep it 100 is your favorite, ice-cold, convenience store blue raspberry drink with a hint of strawberry. Sweet strawberry and mystical blue raspberries are blended together to create this refreshing Blue Slushie! Really good juice, taste like blue slushie but a little flavorless !! Has a really good flavour, I’d recommend this to anyone looking for a new flavour.